"Having moved my personal and business accounts to Turpin Barker Armstrong a few years back, I have been delighted with the service provided by everyone I have had dealings with. I have found them approachable, accommodating and have received sound advice throughout. I have recommended this company to friends and will continue to do so." "Turpin Barker Armstrong provides first class accounting services with the highest integrity. Their staff is very personable and they handle all my business needs professionally and promptly. They not only helped us organise and better manage our operations but have provided invaluable advice when our business incorporated." "In looking for a local accounting firm to handle my company’s financial affairs in England I was introduced to Turpin Barker Armstrong. Over the last 15 years I have found them to be extremely efficient and effective in all matters and have recommended them to colleagues and friends and I would happily do so in the future." "After many years of trying to run a small business with accountants who gave little advice or direction, it is refreshing to have a firm that is efficient, friendly, helpful and knowledgeable. Thank you for the ongoing help and advice, and getting everything done on time." "Since the inception of our company 17 years ago we have used Turpin Barker Armstrong. We have a great relationship with Turpin Barker Armstrong and always feel we can pick up the phone at any time. The advice we have had over the years has been invaluable in building a successful business." "Turpin Barker Armstrong have been our accountants for the past 20 years and I have always found them to be professional, knowledgeable, friendly and approachable whatever the situation, I would have no hesitation recommending them." "We have been a client of Turpin Barker Armstrong for 10 years, during this time we have always received excellent, professional and knowledgeable advice and support. I would without hesitation recommend their services." 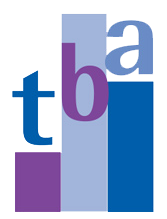 "TBA have been our accountants for a few years now and I have found them to be nothing other than professional. We outsource our payroll to them, which is not an easy task. They also carry out tax work, audit and year end accounts amongst other things. Whenever I have a query they are more than obliging and I am extremely happy with the professional service we receive." "We want to work with a firm of accountants who know us, understand our business and offer proactive, practical help and advice – we have been working with Turpin Barker Armstrong since 2008 exactly for those reasons, along with a great team to support us." "When I first met Dean, I knew he was the right accountant for Nutcracker and for me to work with. Dean always responds immediately to any request for information which I find invaluable and is a wealth of knowledge and patience. I really value working with Dean and the knowledge he brings to Nutcracker. Dean is an absolute pleasure and I would recommend him thoroughly to any business looking for a switched on, straight-talking accountant who genuinely cares about your business." "We have been with Turpin Barker Armstrong for over 5 years and remain impressed with the excellent service and the dedication of their staff. They handle all matters both large and small, promptly and courteously and I have already recommended them to several of our clients who have also had good experiences." "Turpin Barker Armstrong has been working closely with Scanplus for over 8 years auditing annual accounts and offering valuable tax advice. During this period of time, there has also been significant developments within Scanplus, ranging from asset sales to share issues all of which have been conducted positively and efficiently under the guidance of Dean Clark and his team. There is always somebody available to offer friendly, professional advice at short notice when needed and I am happy and confident that with Turpin Barker Armstrong's assistance my business is in good hands moving forward." "We have been working with Dean Clark of TBA since 2009 and have always been thoroughly impressed by the level of professionalism and the quality of the advice that we have received. Not only do TBA provide excellent planning and guidance, they are also proactive in suggesting ways that we can become a better and more tax-efficient business going forward. We are in no doubt whatsoever that our business is in a better position as a result of this relationship." "I had the misfortune to be picked out by HMRC for a serious tax investigation. This was without doubt one of the most stressful periods of my life. Thank goodness I decided to instruct Turpin Barker Armstrong to act for me on my behalf. Dean Clark's professionalism and ability to negotiate with HMRC was absolutely first class. Turpin Barker Armstrong were totally supportive throughout and I can wholeheartedly recommend them if you should find yourself in this unfortunate position." "When I first established my business 10 years ago, I thought it essential to draw in a team of experts who I could depend on for first class advice. I found Turpin Barker Armstrong the ideal company for me; being able to offer diverse information on the pitfalls of setting up a new business and the continuance of good accountancy practice. In addition to which, their tax, VAT and personal financial advice has been more than welcome. Moving my business forward from a LLP company to now LTD they have made the process seamless. Dean Clark and Mike Wright have been exceptional, always approachable to offer help and advice as and when I require it. I would recommend them to anyone seeking a personal relationship with a friendly and reliable company." "I was drawn to Turpin Barker Armstrong initially through the positive demeanour and advanced knowledge of Mr Dean Clark in accountancy matters. As I was further introduced to the rest of the Turpin Barker Armstrong team, I found them equally driven in their desire to do a superb job. My company has been with Turpin Barker Armstrong for a number of years now; they have always been professional and efficient in dealing with my tax affairs, both personal and corporate."